Disney Junior invites you to enter the Disney Discover The Magic Sweepstakes at Disney.com/DiscovertheMagicSweeps for a chance to win a magical vacation. It’s your best chance to win a trip to Walt Disney World Resort for you and your family. Winner and up to three (3) guests to Orlando, Florida to visit Walt Disney World Resort. 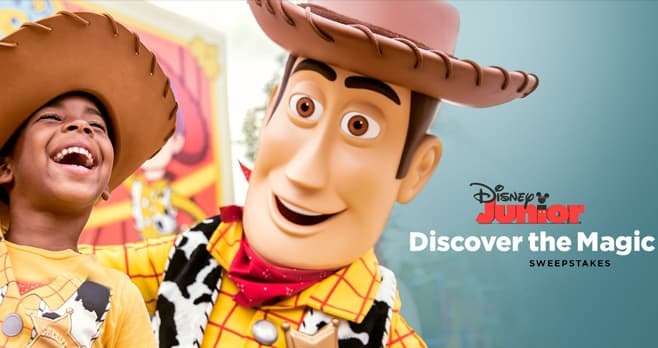 Visit Disney.com/DiscovertheMagicSweeps to enter and see Official Rules for details.